Michael Cohen named three clients: Donald Trump, ex-RNC official Elliot Broidy, and Fox TV’s Sean Hannity. NEW YORK — A legal fight over what should happen to records the FBI seized from President Trump’s personal attorney took a stunning twist Monday when the lawyer, Michael Cohen, was forced to reveal a secret — he had also done legal work for Fox News host Sean Hannity. The disclosure came as a New York judge disappointed a lawyer for Trump by letting prosecutors proceed with the cataloguing of evidence, including multiple electronic devices that were seized in raids, while a system is set up to ensure that records protected by attorney-client privilege aren’t disclosed to investigators. Hannity played down the relationship, saying he occasionally asked Cohen legal questions but never paid him. But the connection between the two men inserted another high-profile, polarizing Trump ally into the drama surrounding the criminal investigation of the president’s longtime lawyer. Lawyers for Cohen and prosecutors both had reason to claim success after three hours of arguments before US District Judge Kimba Wood, who said she may appoint a special master, a neutral lawyer, to help decide which materials should stay confidential. Lawyers for Cohen and Trump have argued that the seizure could lead to violations of attorney-client privilege. Cohen’s attorneys have asked to review the documents, or have a court-appointed special master do so, to determine what material is protected by attorney-client privilege. The judge did not make a decision but said she was considering appointing the special master — not because of legal precedent but in the interest of avoiding the appearance of bias in the politically charged case. Wood said she wanted more information before ruling. ‘‘I have faith in the Southern District US Attorney’s Office that their integrity is unimpeachable,’’ she said. 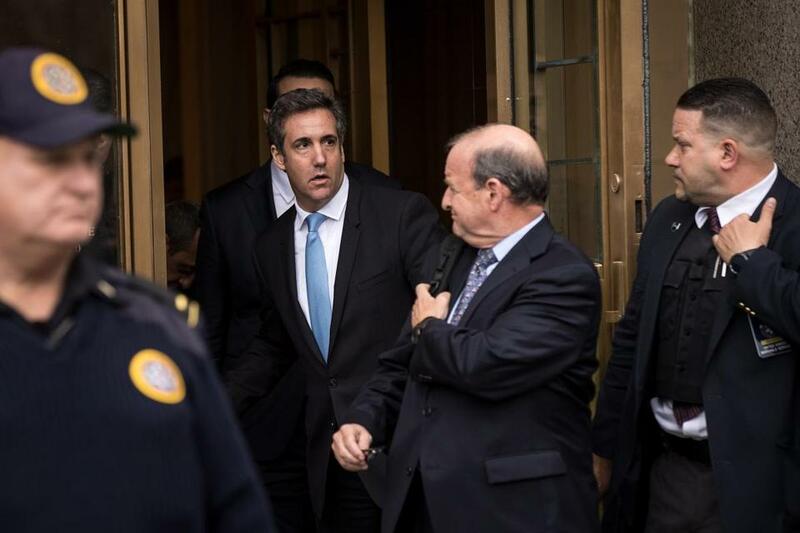 Assistant US Attorney Thomas McKay urged the judge to reject the requests from the president and Cohen. Hendon told the judge that the president ‘‘is objecting to anyone other than himself making the initial determination of privilege,’’ urging caution over haste. That procedure involves having a ‘‘taint team’’ — also called a ‘‘filter team’’ — of prosecutors outside the investigation review material and separate what is covered by the privilege. A lawyer’s communications with a client are not covered by the privilege if they did not involve legal advice or were used to further a crime or fraud. Wood said Monday that ‘‘a taint team is a viable option,’’ but it was unclear how she would decide to assess the possibly privileged material. Cohen’s lawyers acknowledged that he has had only about three legal clients in the past year and a half — Trump, former Republican National Committee deputy finance chairman Elliot Broidy, and a mystery third client whom Cohen initially didn’t want to name. Last week, Hannity criticized the raids on Cohen’s office and residences as ‘‘an unprecedented abuse of power,’’ never mentioning his relationship with the Trump lawyer. Hannity said Monday that he never paid him to be his attorney. ‘‘Michael Cohen has never represented me in any matter,’’ the conservative commentator wrote on Twitter. ‘‘I never retained him, received an invoice, or paid legal fees. I have occasionally had brief discussions with him about legal questions about which I wanted his input and perspective. 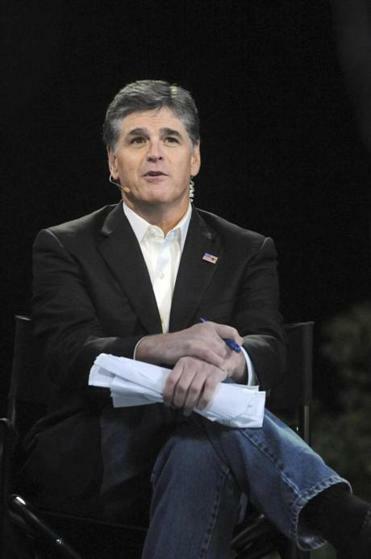 ‘‘I assumed those conversations were confidential, but to be absolutely clear they never involved any matter between me and a third party,’’ Hannity added. Cohen, who is under criminal investigation for possible bank fraud and campaign finance violations, has come under scrutiny by federal prosecutors for his efforts to tamp down negative stories about Trump. In late 2016, he paid adult-film actress Stormy Daniels $130,000 in exchange for her agreement not to discuss an alleged sexual encounter with Trump. A letter from Cohen lawyer Todd Harrison filed Monday said that during last week’s raids, agents seized ‘‘more than a dozen electronic devices and other items that include documents and data regarding topics and issues that have nothing to do with’’ the material sought in the search warrant. The letter says that from 1996 to 2006, Cohen had hundreds of clients, adding that he did not know if any material from those clients was in the seized files. From 2007 to 2017, Cohen worked as a lawyer for Trump and the Trump Organization. The letter said that in 2017 and 2018, Cohen had ‘‘at least 10 clients,’’ but seven of those were business consulting clients whose work did not involve legal advice.